In table tennis, as in life, some things you do once and never forget, and other things you have to keep relearning the hard way. This two-minute tip is one of the latter variety for me! If you are a defensive player, don’t forget that deception is one of the most potent weapons in your arsenal. When you stop sneakily varying the spin on your chops, you become a simple retriever instead of a wily defender, and your results will suffer. Matthew Syed – one of the truly deceptive defensive players. When I manage to float the ball while making it look like a heavy chop, so my opponent misses the table by several feet. For a defender like myself, these are the equivalent of an attacker hitting that big power loop for a winner – a killer shot. But just like an attacker can get fixated on trying to hit winners from all over the court, it’s easy for a defender to carried away and start trying to win all his points from these same two techniques. This is a mistake because you become focused on performing only the two extremes of your defensive game – extremely heavy spin, and no spin. It’s then very easy to forget that you should be playing deceptively on all your other strokes as well. It’s the continual use of different amounts of wrist snap, varying swing speeds, slightly different contact angles, and changes in the height of your chops, that all set up the effectiveness of these two killer shots. Remember also that while watching your opponent’s shot sail several feet off the end off the table, or bury itself into the bottom of the net is very gratifying, you still win the point if your opponent misses the table by half an inch, or if the ball clips the top of the net and falls back on his side. Proper use of all your deceptive techniques during the rally will increase the chance that your opponent will make a small mistake in reading the spin, which is often just enough to win the point. In this case, especially – size doesn’t matter! A defender is a backspin player who is constantly attempting to deceive his opponent with variations in his stroke – adjusting his use of wrist, swing speed, racket angle, pace, spin, and ball height in order to attempt to force mistakes from his attacking opponent. A good defender is tough to play against, because not only does the ball keep coming back, but it always comes back differently while looking similar, forcing the attacker to concentrate hard on reading the defender’s shot. A retriever is a backspin player who simply returns the ball again and again, with little or no attempt at deception. A good attacker will soon become very comfortable in knowing what spin is on the ball and will take control of the match. A defender who gets caught up with trying to win points only by chopping heavily or floating the ball isn’t using all the tricks up his sleeve and becomes much easier to play against, effectively turning himself into a retriever. Remember, as a defensive player you have a number of ways to deceive your opponent and win the point. While some of them are flashier than others, all of them are important, and you should be making full use of them throughout your rallies. Don’t let the lure of the killer shot make you a one-trick wonder! There are many offender table tennis players and very few are playing defender. This is for the reason that it is kind of a difficult path to play defender. You need to change the fundamental and skill of your game, which is partly the expression of your character, your perception, and your views. The defender lives partly on the mistakes of the opponent. Also, they need to be chased around the table as a mouse is tracked by the cat. You even have to bring about this situation in a controlled manner and find out if you have a safe and clever player that can be a trainer to train your defending skill. Then one has as a defender stereotype with most pimples on the RH. There are many rubbers that you can choose from. The choices and combinations with wood and rubber surface can be something that you need to try out by yourself. Ask yourself why you want to change your style of play. The urge for success should not come first. In any case, you have to be very patient. I did not have that patience and am currently changing my game more towards all +. What level of performance have you achieved so far? And above all: why defense? A defender definitely needs more time than an attacker to evolve, because he has to have more punches on it – almost double the number of strokes if it’s supposed to be modern defenses. You also have to train enough to achieve this change in a reasonable time. 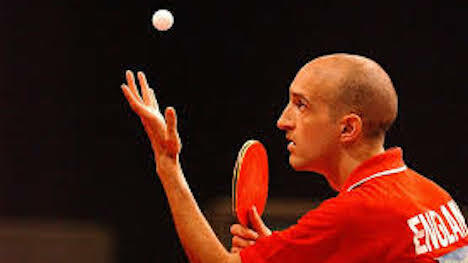 Above all, however, a lot of table tennis systems and training machines are useful and important in order for you to acquire the technique that is necessary for warding off. Any ALL wood with a controlled VH-coating and an RH-knob … that would be the standard. RH-Noppe should be as easy to play as possible, eg FL II or FL III. But that is also very dependent on you personally. Only you need a limit, so as not to try too much since that is more insecure than anything else. 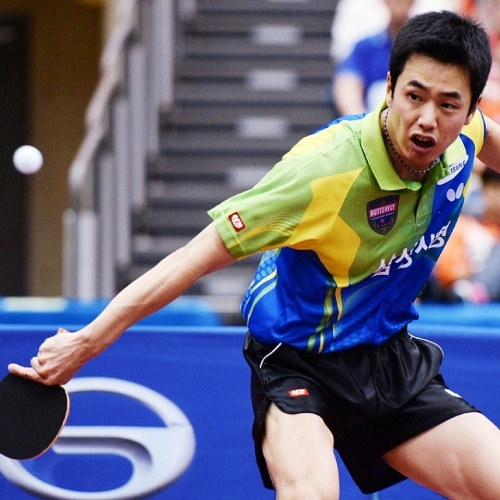 Thus, the answer why not many people play defender table tennis is because it is very hard. Many points are to be considered and can become hurdles for most of the people. 2. A trainer who is able to teach defensive play and also has the time and desire to deal with you. 3. Willingness to play worse results for a couple of months until you are mastering the defensive game as before without the “belief” in the new game system to lose or annoy if you lose against people you have beaten before.